Burning fossil fuels such as natural gas, coal, oil and gasoline raises the level of carbon dioxide in the atmosphere, and carbon dioxide is a major contributor to the greenhouse effect and global warming. 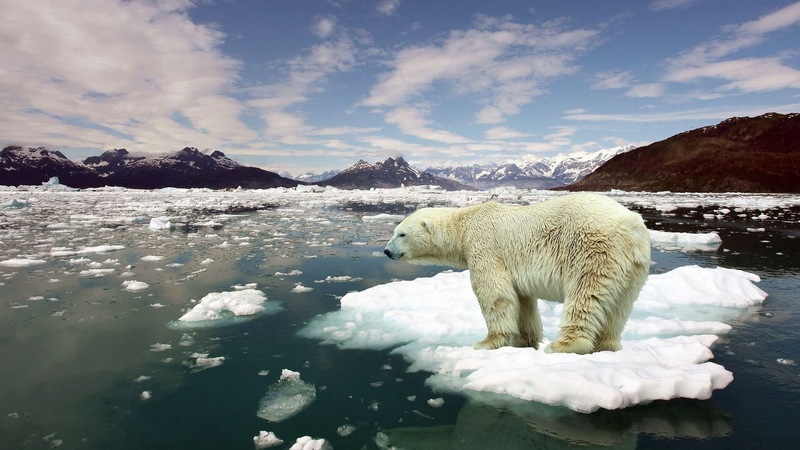 Global climate change is certainly one of the top environmental issues today. 1. Replace Regular Incandescent Light bulb: Replace regular incandescent light bulb with compact fluorescent light (CFL) bulbs. 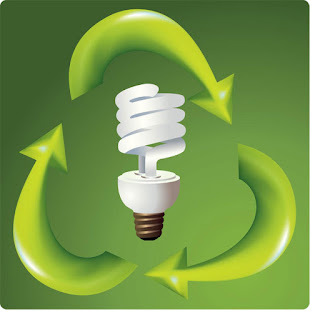 They consume 70% less energy then ordinary bulbs and have longer lifetime. 2. Drive Less or Carpool: By driving less you are not only saving fuel but also helping in reducing global warming. Also, look out for other possibilities, for e.g. : car pooling. If you have colleagues who live in the same area then you can combine trips. If you need to go to a local market then either walk or go by cycle. Both of them are great form of exercise. The biggest pollution emitting fumes are caused by oil and gasoline. Cutting down consumption, is a huge step to reducing energy wastes. 3. Reduce, Reuse, Recycle: Reduce your need to buy new products or use less, resulting in a smaller amount of waste. Even if you need to buy, consider buying eco-friendly products. It is most effective of the three R’s. It simply says cut back from where are you now. Reuse bottles, plastic containers, and other items bought at the grocery store. Reusing water bottles, yogurt cups, bread ties, and other items is being conscious about what is already out there. It will lessen having to purchase other items that would fulfill the same function. Try to use the disposable products into some other form. Just don’t throw them away. Recycling unwanted paper, bottles, etc…is a great earth saving tip. If possible, upcycle tables, furniture, and other outdated items to keep landfills clean. You can recycle almost anything for e.g. : paper, aluminum foils, cans, newspapers. By recycling you can help in reducing landfills. 4. Go Solar: Many people have caught the energy efficient band wagon of solar energy. Having solar panels installed is something readily possible and available. Incentives and discounts given by government agencies and energy companies make solar energy something to look into. 5. Buy Energy-Efficient Appliances: Always buy products that are energy efficient as they can help you save good amount of money on your energy bill. Energy-efficient products can help you to save energy, save money and reduce your carbon footprint. 6. Reduce Waste: Landfills are the major contributor of methane and other greenhouse gases. When the waste is burnt, it release toxic gases in the atmosphere which result in global warming. Reusing and recycling old items can significantly reduce your carbon footprint as it takes far less energy to recycle old items than to produce items from scratch. 7. Use Less Hot Water: Buy energy saving geysers and dishwasher for your home. Avoid washing clothes in hot water. Just wash them in cold or warm water. Avoid taking frequent showers and use less hot water. It will help in saving energy require to produce that energy. 8. Avoid Products With Lot of Packaging: Just don’t buy products with lot of packaging. When you buy such products you will end up in throwing the waste material in the garbage, which then will help in filling landfill sites and pollute the environment. Also, discourage others from buying such products. 9. Install a Programmable Thermostat: A programmable thermostat doesn’t cost much and its cost can be recovered from the amount that you save by reducing energy. The easiest and most cost effective advice is simply adjusting your thermostat up 1 degree down in the winter and up by 1 degree in the summer. Lower your thermostat 2 degrees in the winter. Instead of making your home a burning furnace, try putting on extra layers. 10. Turn Off the Lights: If you’re not using a room, there’s no need for the light to be on. 12. Plant a Tree: Planting trees can help much in reducing global warming then any other method. They not only give oxygen but also take in carbon dioxide, during the process of photosynthesis, which is the main source of global warming. 14. Look for Renewable Fuel Options: If you can’t afford an electric car, buy the cleanest gasoline as possible. When car shopping, look at the benefits of options that provide renewable fuel. Although it may be a pretty penny now, you’re on the ground level of forward thinking. 15. Save Energy: When you consume less, the less carbon dioxide is released into the atmosphere. Setting your thermostat using your smart phone or changing the type of light bulb you use is a great start. 16. Replace Filters on Air Conditioner and Furnace: If you haven’t, not only are you wasting energy, but breathing in dirty air. Cleaning a dirty air filter can save several pounds of carbon dioxide a year. 17. Go Green: Using energy star appliances will not only save money, but also the amount of energy wasted in your home. Have a look at various ways to go green. 19. Download Earth Saving Apps: Apps like Kil-Ur-Watts and Wiser EMS not only help calculate your energy costs, but provide tools and ways to save energy and money. Taking a quick 5 minute shower will greatly conserve energy. The type of shower head used, will also aid in combating global warming. Take showers instead of baths. Showers use less water than baths by 25%. Over the course of a year that’s hundreds of gallons saved. 22. Eat Less Hamburger: Besides carbon dioxide, methane introduced into the air contributes to global warning. With meat consumed by the seconds, the amount of cows breathing out methane is a huge contributor, thanks to our carnivorous diet and the billion-dollar meat industry. 26. Use a Kitchen Cloth Instead of Paper Towels: Paper towels produce nothing but wasted energy. Think of the factory pollution, as well as the tree consumption. 28. Check Your Tires: When you drive make sure your tires are inflated properly. If not, then your vehicle might consume more fuel which in turn release more CO2 in the atmosphere. Keep your engine properly tuned and drive less aggressively. Aggressive driving and frequent applying of brakes hampers the engine and can even lower the mileage of your car. 30. Wrap your water heater in insulation: By keeping the energy in the water heater condensed, less energy is emitted into the air. This not only helps the earth, but your pocketbook. 31. Get Home Energy Audit Done: Call a home energy audit company and get an audit done for your home that will help you to identify areas that consume lot of energy and are not energy efficient at all. 33. Actually celebrate Arbor Day and Earth day: Although most of us hear about these days in passing, see what the buzz is all about. Plant a tree, pick up trash, or join a forum. Always try your best to educate people about global warming and it’s causes and after affects. Tell them how they can contribute their part by saving energy that will be good for the environment. Gather opportunities and establish programs that will help you to share information with friends, relatives and neighbors.